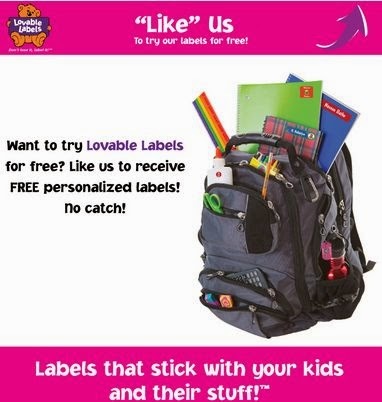 Get a free sample from Lovable Labels. Click the link below to get a sample of personalized labels. "Like" them on Facebook then enter your information to get your sample.